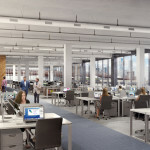 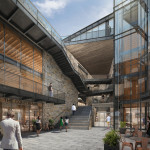 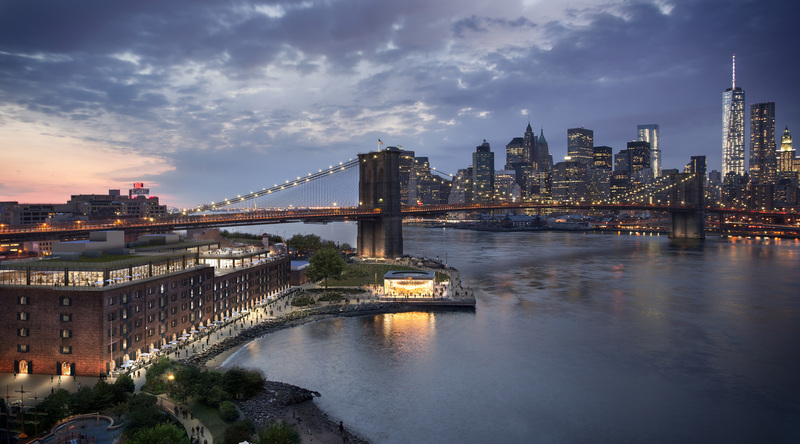 When AN visited the under-construction Empire Stores in Dumbo last fall, we were told that the conversion of the 19th century coffee warehouses into a 500,000-square-foot office and retail complex would be completed in just about a year’s time. “Year, sure it will,” we thought as we walked around the window-less, floor-less space that had no semblance of its planned rooftop park. 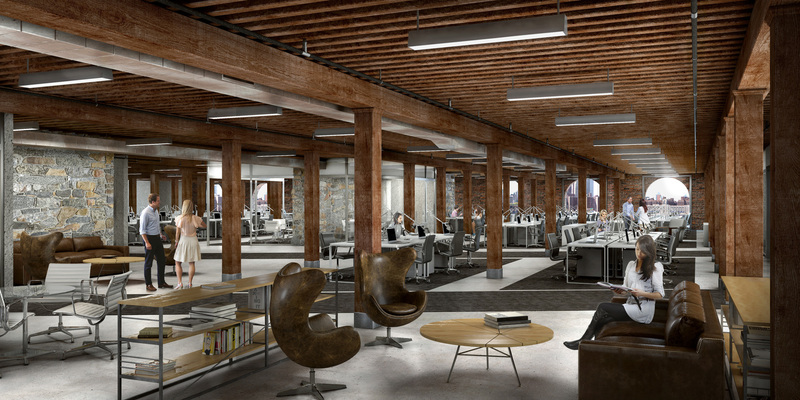 Well, jump ahead a few months and it looks like our skepticism was misplaced. 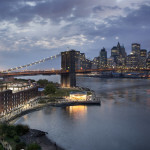 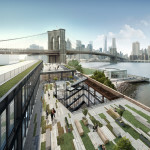 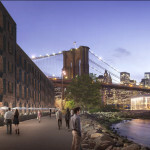 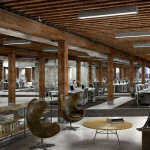 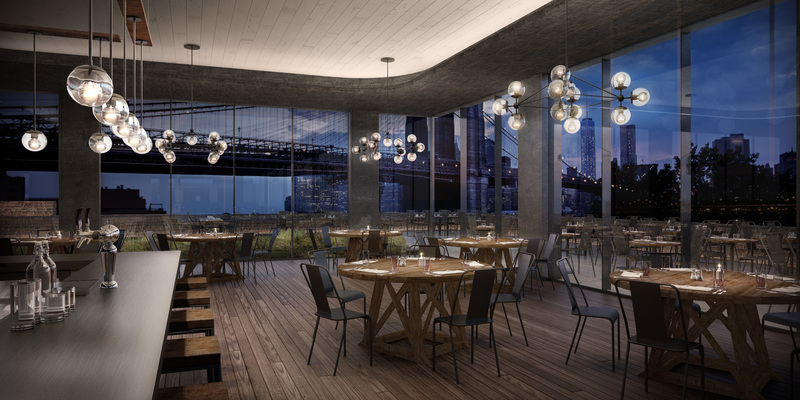 Crain’s New York reported that things are moving ahead right on schedule over in Dumbo. 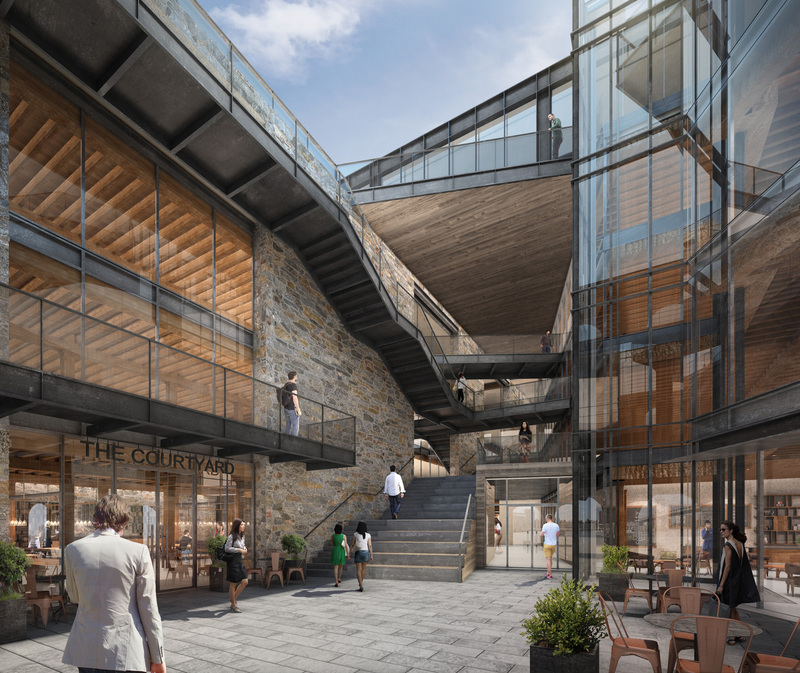 The development team expects to wrap up construction on the Studio V–designed complex in six months, and the project’s glossy new website said office space will be deliverable in the fall. 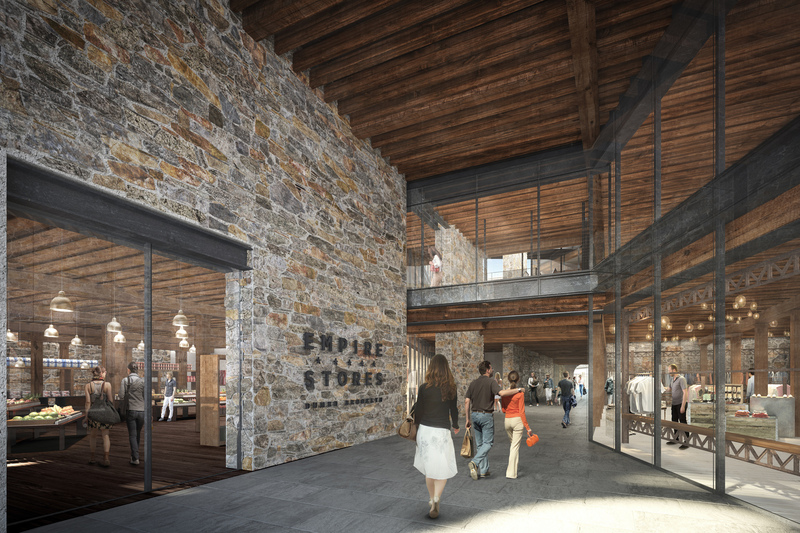 With the planned opening comes a marketing campaign (with new renderings!) 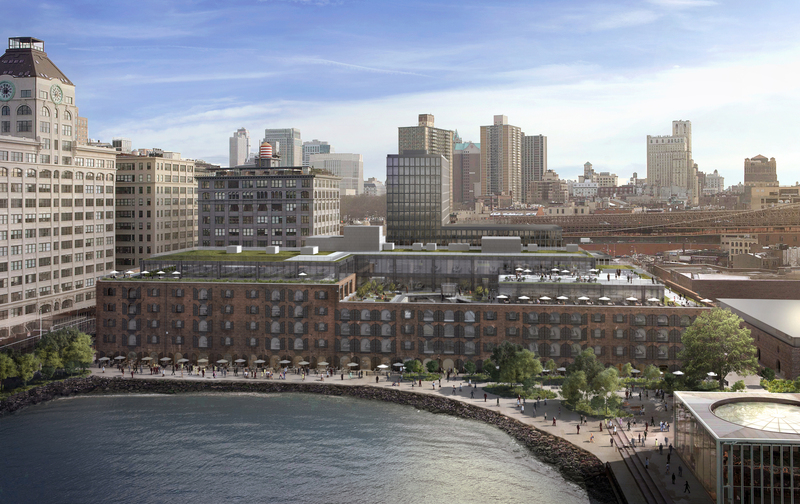 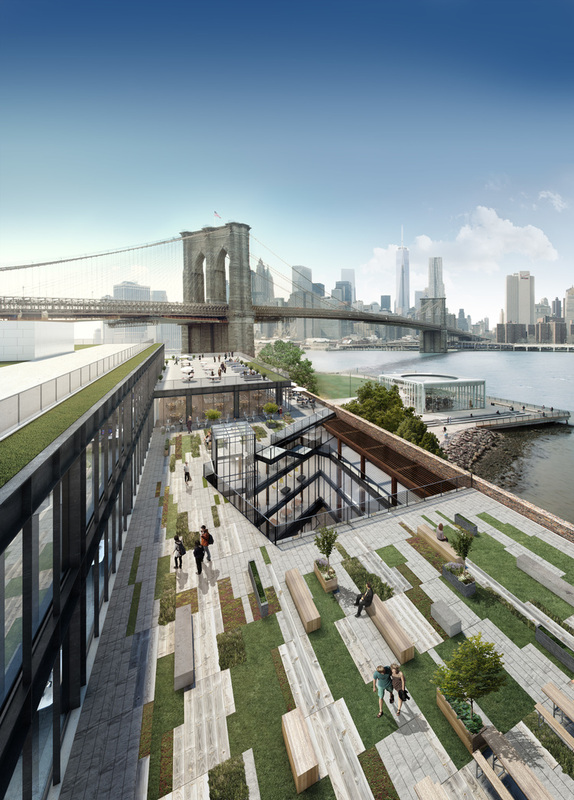 aimed at enticing tech companies to the Brooklyn waterfront. 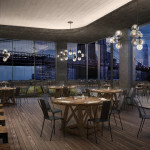 Lest any prospective tenants think the complex isn’t cool enough, or perhaps “Brooklyn” enough, the leasing team is sending out “handsome coffee-table books detailing the project” paired with some Brooklyn-distilled whiskey. 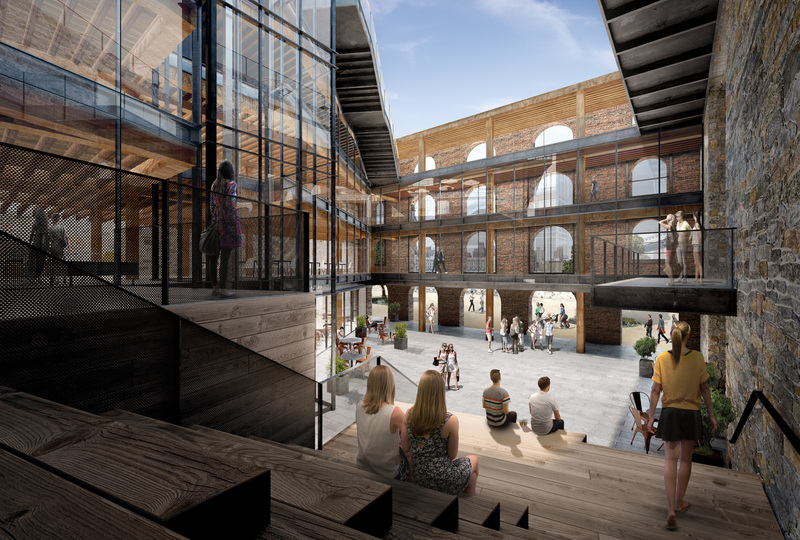 As AN reported last fall, Studio V is adding a glass and steel addition onto the old warehouses and cutting a striking, open-air courtyard through the complex’s center. 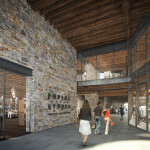 The team is also refurbishing much of the warehouse’s original elements like its masonry and schist walls and yellow pine beams. 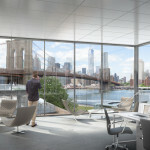 Office space in the glass and steel addition.